The dragracing season has come to the end, again to fast. But as we´re the fast-lane people ofcourse time flyes as well. Here we have all our Award winners of 2017th Summit Racing EDRS Series and EDRS Pro Series. Well done everyone! See you at the banquet 25th November. All Junior drivers of the weekend in one place. 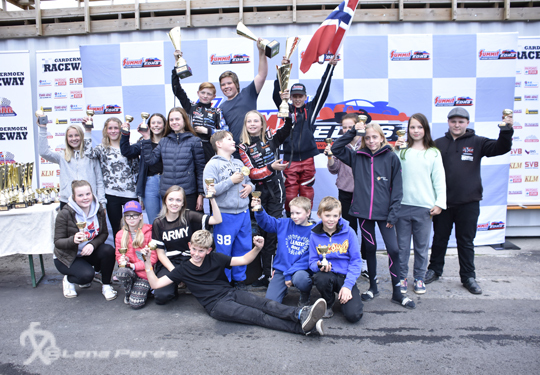 Last Summit Racing EDRS Series event has come to an end, and we have had a great weekend here at Gardermoen Raceway and the Drag Finals. A few drops of rain but mostly sun. Down below are the winners of Drag Finals 2017.